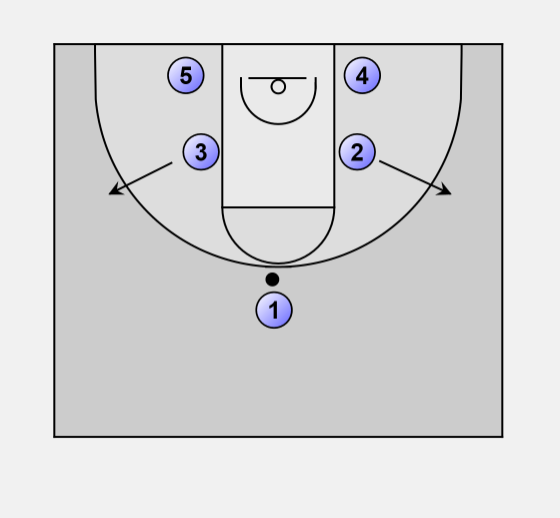 This is a simple zone play intended to get a jump shot from the weak side. The play starts off with Player 1 (This should be your best jump shooter) bringing the ball to the middle. Player 1 calls a play number. For us it's "#1". We generally yell "Go" to start the play. 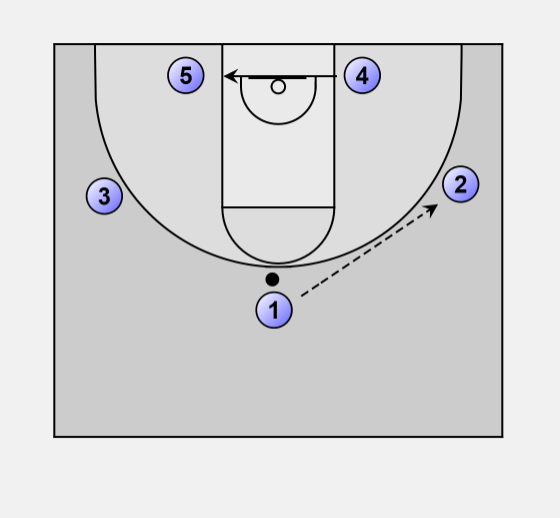 Player's 2 & 3 pop out to the wings to receive the ball. Once the two low post players sees where the ball is being passed to, the Player on the same side of the court where the ball is passed (Player 4). goes to the opposite low post and sets a double screen. Player 1 goes behind the double screen set by Players 4 & 5. The ball is passed back to the top of the key to Player 3. • Spacing is important. The players need to be far enough apart for the passes to go to the wings as well as to player shooting at the end of the play. • The players popping up to the wings have to meet the pass in order to avoid steals. • The passes must be quick in order to keep ahead of the defense's reaction. • The player cutting (Player 1 in this example) has to run hard to get into position for the jump shot. His shot has to be done in one motion without a dribble. 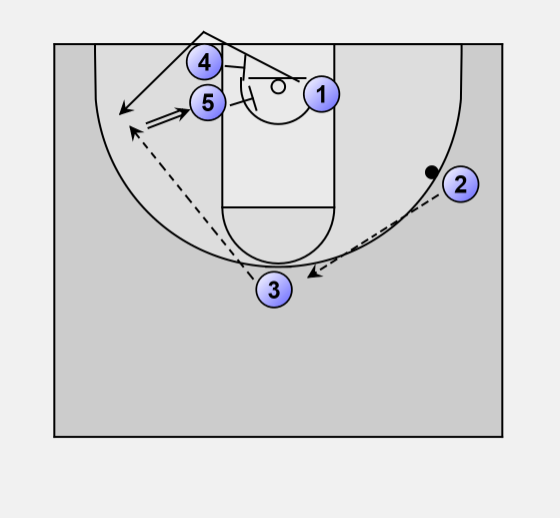 • This play can be run in either direction as long as the low post person knows to double screen to the opposite side. • This play can also be used against a man to man defense.